Love ‘em or hate ‘em, Southwest Airlines have always had bold liveries that have drawn attention. The original “mustard rocket” colors were unlike anything else in the air at that time, and the current blue, yellow, and orange get-up is in a league of it’s own as well. 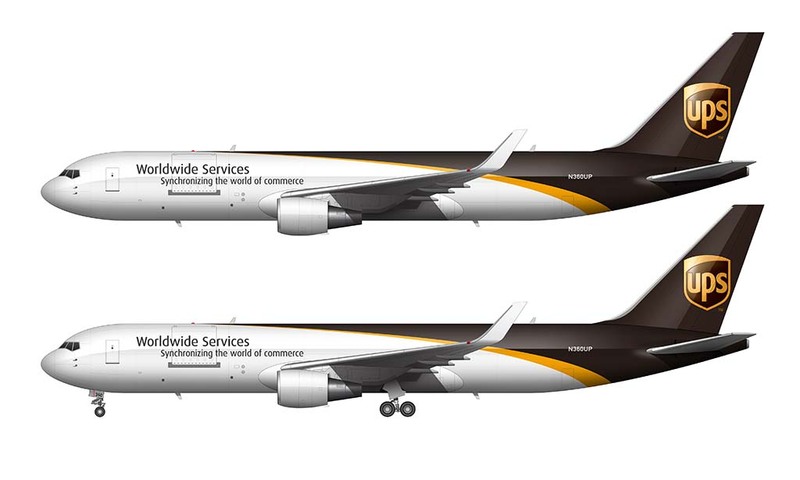 So yeah – the designer in me naturally gives them a lot of credit for bucking the trend and doing something different than most of the other airlines (who prefer stark-white fuselages with small splashes of color here and there). Really though, I’m not bugged by it. 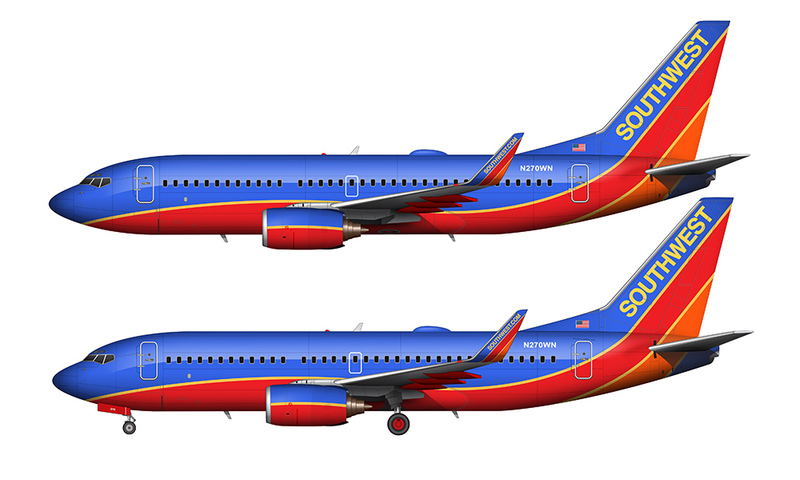 I actually like documenting the old airliner liveries the most, and since I eventually plan on creating renderings of every single Southwest color scheme, this means one less I’ll have to do later on. The mustard rocket colors are most interesting to me though, so you’ll likely see that one first. Very nice illustration. Just don’t ever fly Southwest. It is like being on a bus in Metro Detroit. im wondering if you can do the e195 soon? Are there any visual differences between the 190 and 195? I’ve already created the 190 (https://www.norebbo.com/2015/06/embraer-190-blank-illustration-templates/), so hopefully that will help!